Project areas around the state include Shemya, Adak, Atka, Dutch Harbor, False Pass, and Sand Point on the Aleutians, Wainwright, Barrow, and Deadhorse on the North Slope, Bethel, Platinum, Nikolai, Kaliganek, and New Stuyahok in Western Alaska, Circle, Fort Yukon, and Pogo Mine in the East, to Ketchikan, Wrangell, Petersburg, Sitka, Juneau, and Hoonah in Southeast. 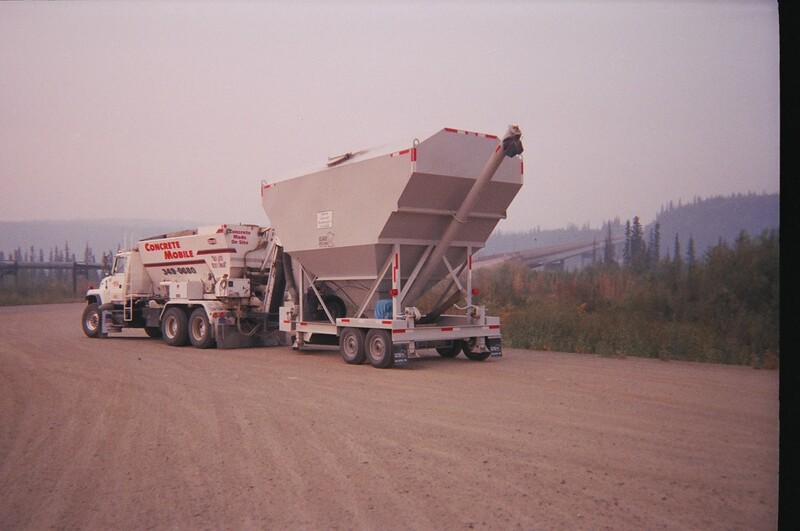 Yukon River - Volumetric Mixer with cement silo at Yukon River Bridge coming back from batching 600+ yrds on DOT maintenance station at Atigun Pass. 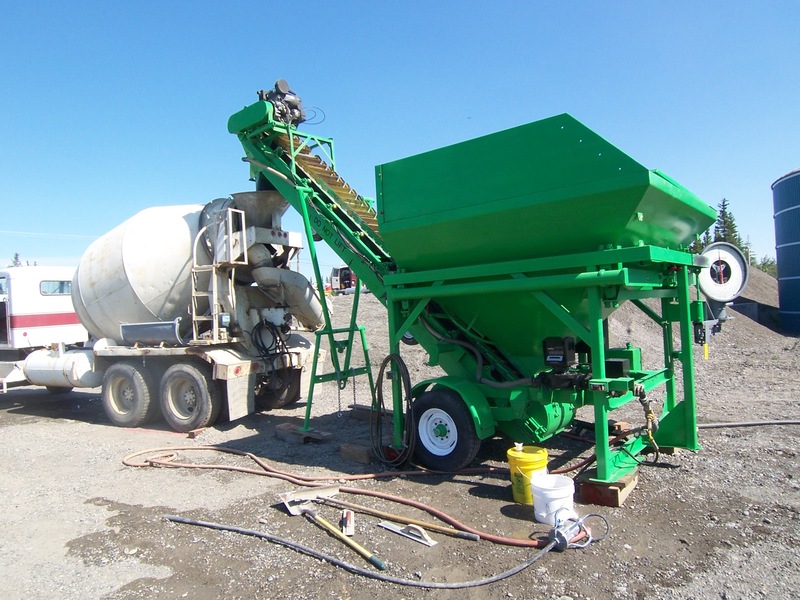 Fort Yukon - Fastway batch plant and mixer batching concrete for 150 yrds on water treatment plant. 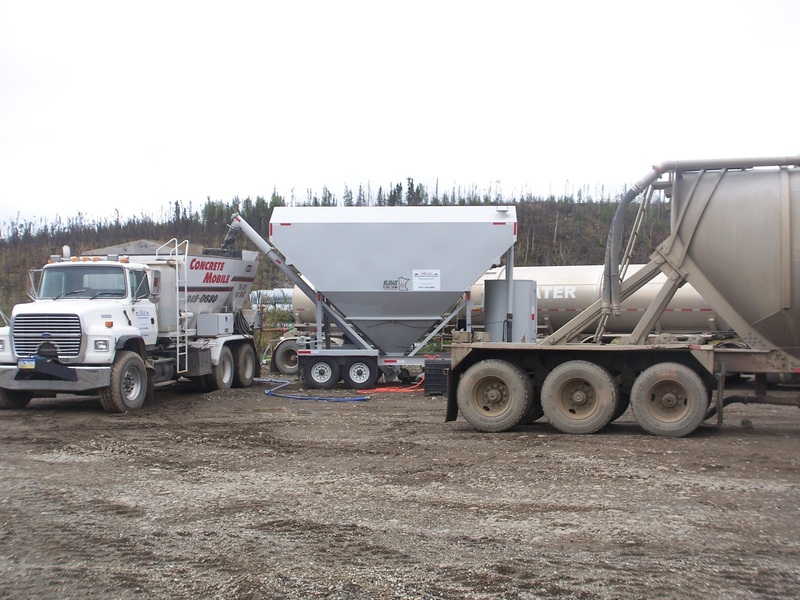 Jim River on Dalton Hwy - Setup for batching with Mobile Mixer, cement silo, water tank, and cement bulker. 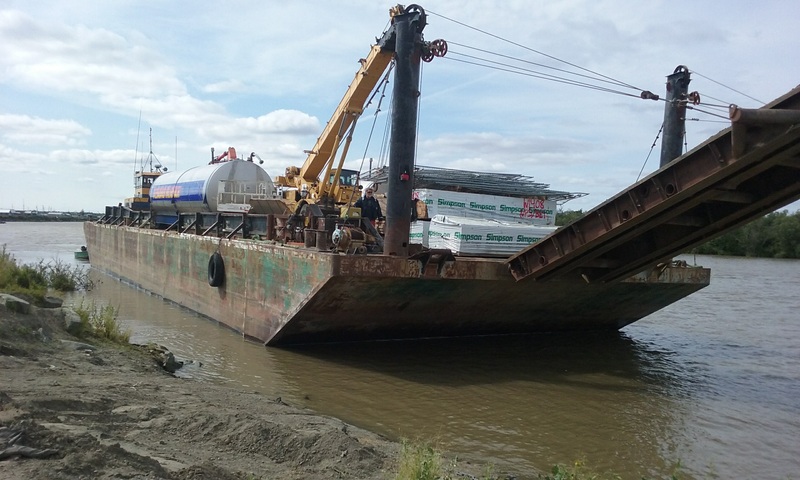 Kwethluk - Smaller barge bringing equipment and materials up the Kuskokwim River for new school. 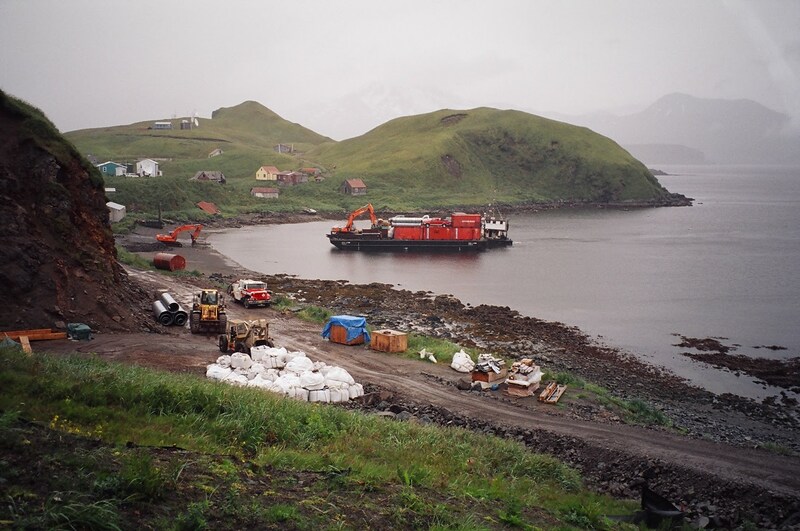 Atka-Barge arriving with more super bags and equip for hydro project. 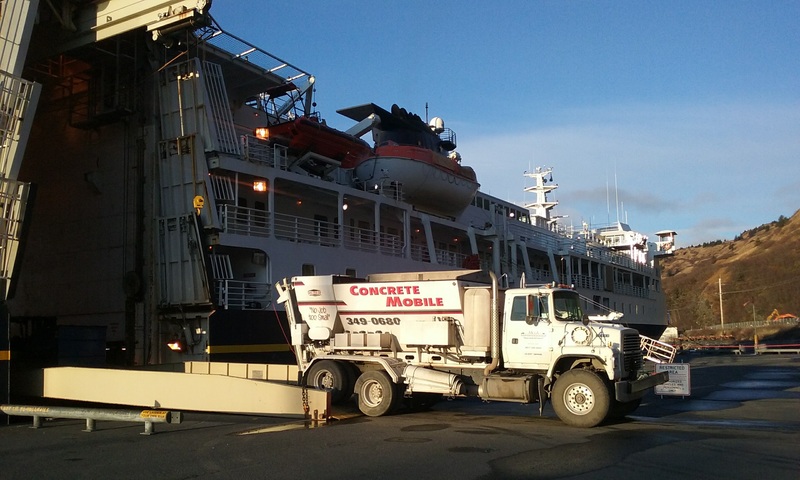 Kodiak-Volumetric mixer coming off an overnight ferry ride from Homer for KEA building lifting project. 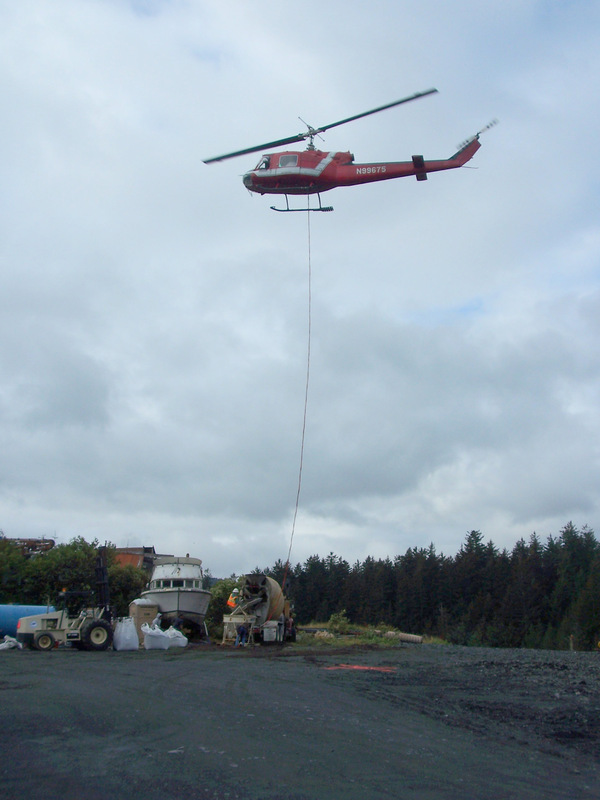 Kodiak-Mixing 2 yrds batches from super bags for remote tower bases. 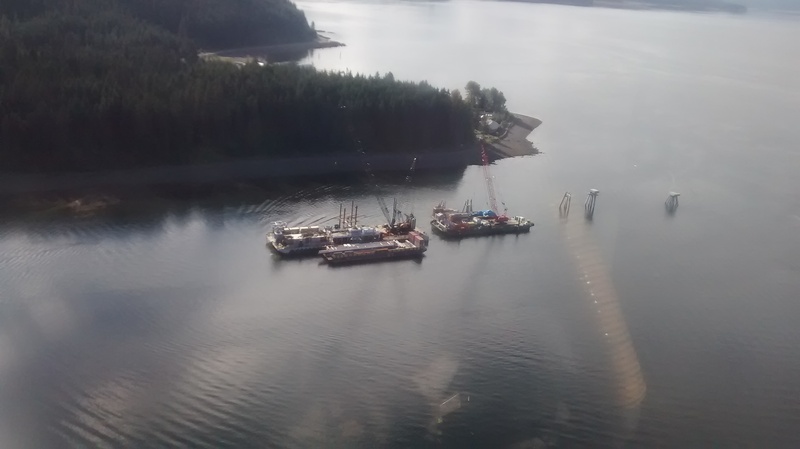 Hoonah-Flying in from Juneau for cruise ship dock project. 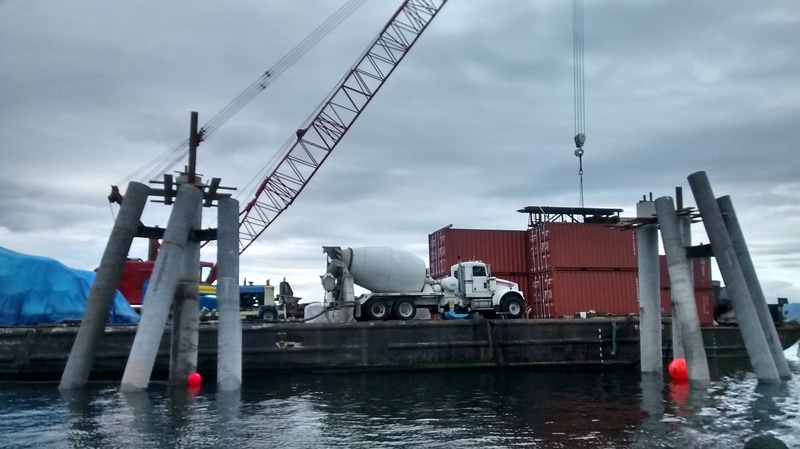 Hoonah-Mixer truck, pump, and super bags of concrete materials were loaded in Seattle and stayed on barge for project. 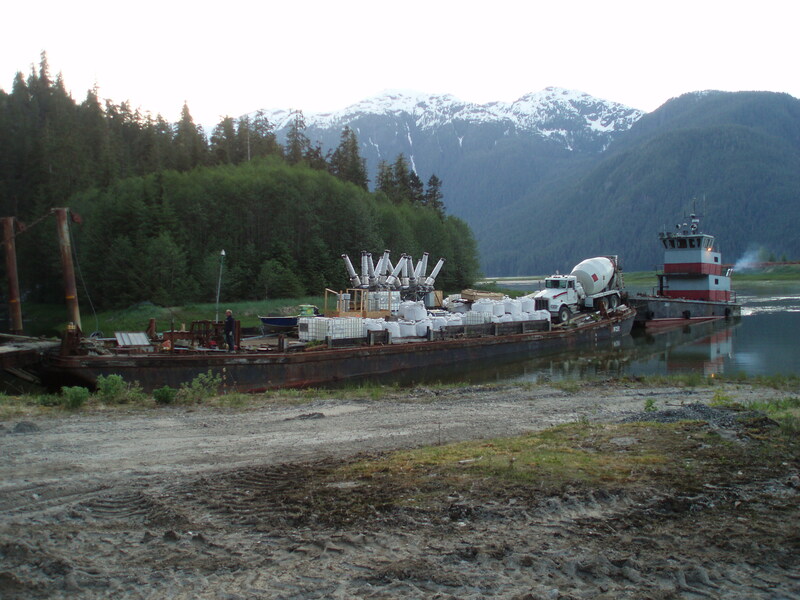 Tyee Lk-Truck, pump, and super bags of concrete materials arriving by barge to the end of Bradfield Canal near Wrangell.